So, you’ve invented a great new product that everyone who has a smartphone or tablet can access. Your product’s uniqueness is embedded in your internal software, but you also rely on data accessed from external APIs. Your software includes internal APIs utilized by the product you present to your customers as they interact with your web, tablet, or smartphone user interface. If customers come to your product and find it down, partially-down, or too slow too many times, surely they’ll look into what’s offered by your competitors. The functionality offered by API Science can mitigate the possibility of this happening, and the damage done when it does happen. 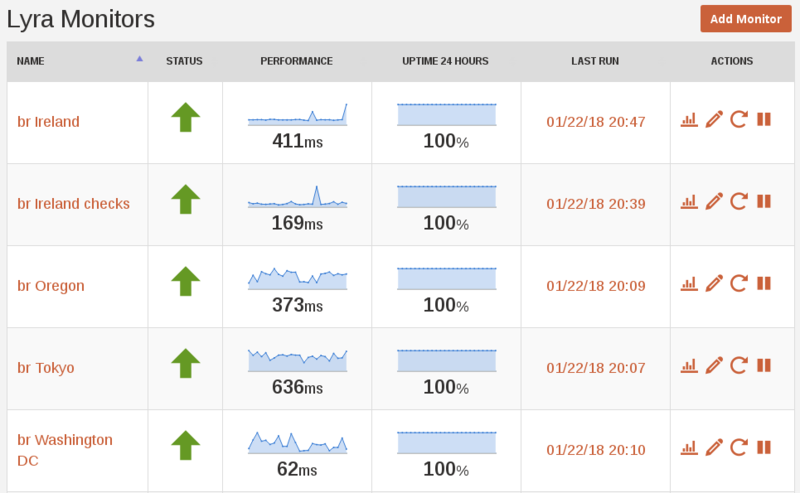 Applying the API Science platform, you can monitor both external and internal APIs that are critical to your online product, so that your team will know immediately when your customers are experiencing outages, and know which APIs are responsible for the outages. Additionally, in the case of slow response, the API Science platform can identify to your team which APIs (external or internal) are causing the slow response. The core of the API Science platform is your ability to monitor the uptime and performance of the APIs that are the basis of your product. If your product provides information that depends on an API, and that API is either down or performing with great delays, then your customers will consider your own product to be down or performing slowly. Neither is a good result. If your product depends on results received from external APIs, and those APIs go down or experience slow performance frequently, then your platform must inform your customers that the reason they’re not seeing the information they expect is due to an outage in one of your data sources. That is, if external data is not available, you don’t want to present your customer with a blank region on their screen. Rather, you want the screen your customer views to account for the unavailability of the data, showing either the latest valid data (with a time-stamp showing when the data was retrieved) or a message stating that no data is currently available. Here we see that though all of our “br” monitors have been up for the past 24 hours, there have been some anomalies in performance. 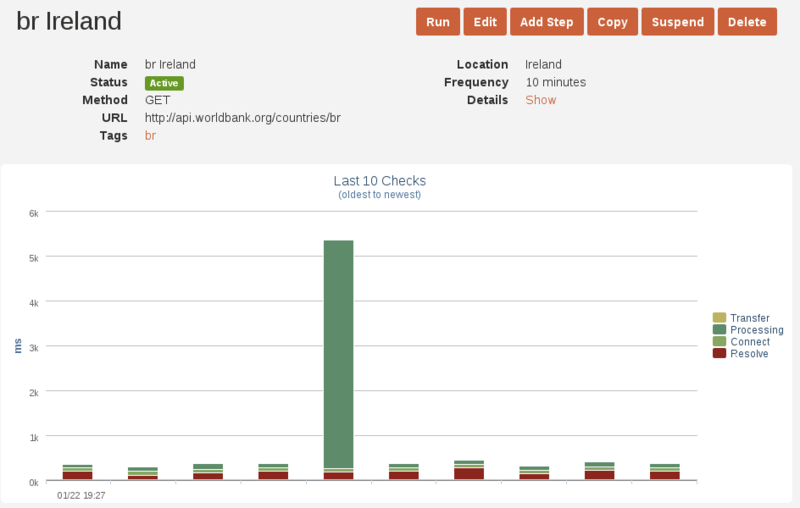 Specifically, we see that our “br Ireland” monitor has recently experienced slow performance. From this graph, we see that the slow performance shown on the previous graph was due to a single very slow response from the API called by our “br Ireland” monitor. The colors in the tall bar indicate that the cause of the prolonged response was “Processing” time. Processing time is the time between when a request is sent to an API server and acknowledged as received, and when the server indicates that a response is prepared and ready for download. This very tall dark green bar, then, indicates that the reason for the slow response was a problem that occurred on the API server farm. The data displayed in this plot is available in numerical form via calls to the API Science API. You can also configure your monitors with API Science Alerts that notify your team via email, text message, or social media platforms, whenever a critical API anomaly occurs. API Monitoring, API Science API, Getting Started, Performance, Reporting. permalink.